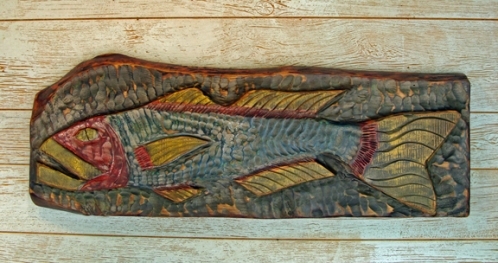 Joe Marinelli has been carving fish for more than 15 years and his folky fish are creations he's developed throughout that time. 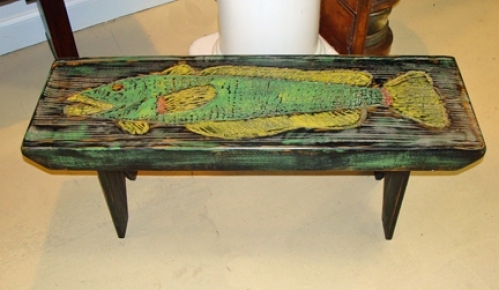 He loves to carve and paint in a folk art style with exaggerated fins, lips & eyes and decorated with bright Island/ Key West colors. 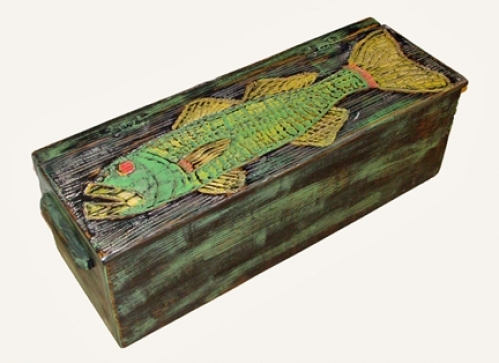 Joe's favorite fish to create is a hanging full scale three dimensional carving of a grouper. What's not to love about this fish-it's folky fabulous! "Woodworking is part of me, Joe stated. My grandfather was a cabinet maker from Italy." 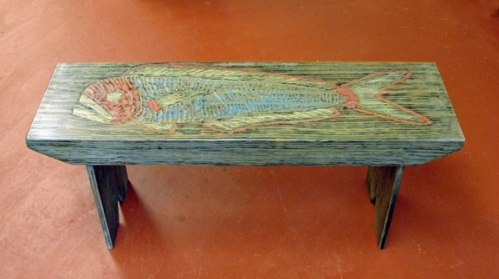 He started building his own furniture when he was 22 and over the past few years started incorporating fish carvings into his furniture. 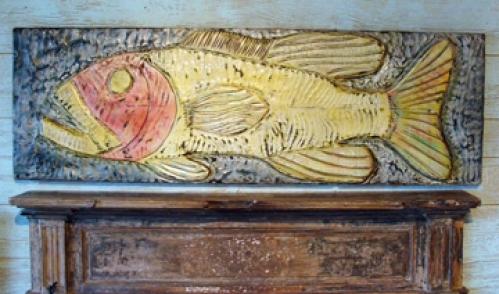 His inspiration for his fish comes from kayaking bodies of water around his lake community in Millville, New Jersey. He observes nature through his frequent outings and interprets them into his dynamic carvings. I first saw Joe Marinelli's carving in an art magazine article that featured his carvings with other folk artwork. I loved them and had to have them in our gallery. There colorful, folky, a bit outrageous, contemporary, unique and I love to look at them each and every day. 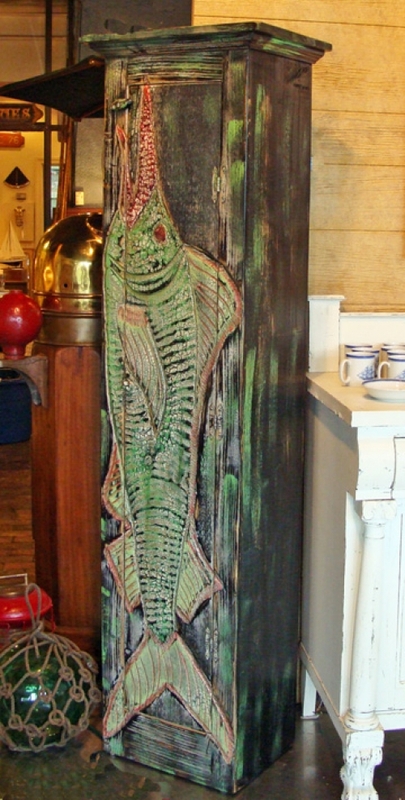 Joe's folky fish wall art and furnishings is perfect for the coastal home and I can see these used in so many interior applications. Though his art style is defined, each of his pieces are one-of-a-kind originals. What's next? Joe's now working on creating folk-carved dining room table and a three dimensional whale carving. Now that's a whale of an idea and I can't wait to see this!